The intergovernmental agreements between Moscow and Ankara on the construction of the Turkish Stream pipeline and the agreed 10.25% natural gas discount will both be signed on the same day after the new Turkish government forms in autumn 2015, announced Taner Yildiz, Turkish Minister of Energy and Natural Resources, on August 4. The reduction of cost price will allow Turkey reduce its expenses by $1 billion, he noted. The minister also explained that Ankara received the coordinates for the land section of the pipeline past the agreed deadlines that introduced a delay in the process of geotechnical investigation for the underwater section. Taner Yildiz also noted that several issues have not been resolved yet, but expressed his confidence that Moscow and Ankara will be reaching a consensus soon. Shortly before this announcement, the Turkish Stream gas pipeline project once again was brought into the worldwide spotlight by July 30 reports of several prime international media sources. They quoted unnamed Turkish officials saying the talks with Russia over the planned gas pipeline had been suspended due to a dispute over several issues, such as gas discount. However, the Turkish Ambassador to Russia Umit Yardim disproved those claims the day after and stressed that the talks are not at an impasse and expected to resume at the meeting of the two presidents – Vladimir Putin from Russia and Recep Tayyip Erdogan from Turkey – scheduled in Kazan in late November. According to the ambassador, Ankara finds it the most suitable to begin the project with the construction of a single branch with the capacity of 15.5-16 bcm for local consumption directly from Russia, while currently Turkey receives its gas through Ukraine. Despite the ambiguity, several international experts suggested that the project would eventually come to fruition. One of them, Erdal Tanas Karagöl, SETA Foundation researcher at Economics Department, expressed his belief that Ankara will be in favor of the project. “The Turkish Stream will help Turkey become an energy hub in its region. During recent years, becoming an energy hub between the energy exporting and importing countries is at the core of Turkey’s energy policies. For this reason, Turkey wants to be part of energy projects in its region. When we look at the Turkish Stream from this perspective, Turkey will play a key role in providing security of energy supply via this project. This means that Turkey will play this project as a trump in its relations with Europe,” he explained. According to the expert, a fully-built 1,100 km pipeline with the capacity of up to 63 bcm will not only serve to satisfy the inner demand of Turkey through its first branch but also transport some 47 bcm of gas into Europe. “Including such countries as Greece, Macedonia, Serbia as partners in the Turkish Stream Project would be the outset of a positive process,” the economist said, adding that the countries who plan to join the EU may also choose to join. At the same time, he pointed out that many political issues such as the EU-Greek relations would greatly influence the pipeline construction deadlines. “The problem is that the relations between Greece and the EU still contain some risks, in spite of the most recent deal between Greece and its creditors. If Greece and EU relations deteriorate again, we will not know how these disputes can affect the future of project,” stressed the SETA Foundation analyst. 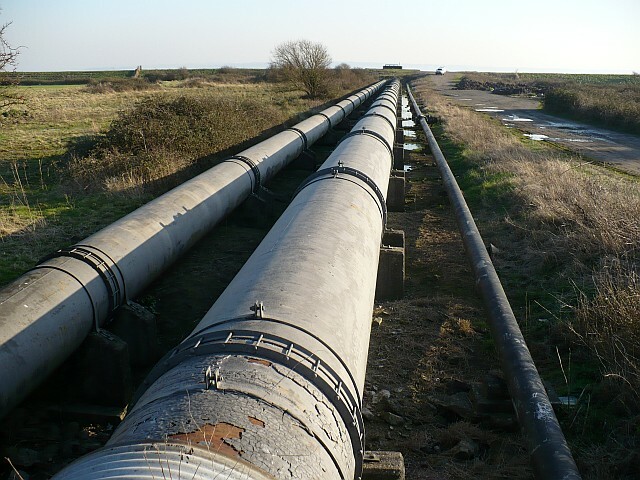 Meanwhile, David Buchan, senior research fellow at the Oxford Institute for Energy Studies, pointed out that the Turkish Stream project would be moot if the current situation and the European supply through other gas pipelines remain unchanged. “Turkey is a growing gas market, but in most of the European Union countries, the gas demand is not growing,” the expert noted. In his opinion, construction of the full four-branch pipeline would take a heavy toll on the budget of Gazprom that would prove to be worth the risk only if Russia seeks to eliminate its dependency on gas shipments through Ukraine. “Another pipeline to Turkey makes sense for the Turkish market, and Gazprom could sell slightly more gas to small Balkan markets, but a full pipeline of over 60 bcm a year is too much for the small markets of Bulgaria, Greece and so on; and in order to get to the bigger markets, the Central Europe, someone would have to build a new pipeline connection, which is expensive,” the researcher stated, adding that the real effect on the European market would register only several years after the Turkish Stream is finished. From his point of view, the stalling of talks with Ankara and the decision to cancel the contract with Italian Saipem in early July 2015 show that Moscow is currently heavily researching the rationale behind the project. However, David Buchan praised the decision to divide the project into several stages. “Most experts seem to think that it may go ahead as a small project, maybe one or two pipelines,” the analyst pointed out. Konstantinos Tasoulas, member of the Greek Parliament for the New Democracy party, also said he doubts it would be necessary to construct the pipeline of such capacity. However, he expressed his belief that the opening of the Turkish Stream would be a good event for Europe. “Greece has supported a part of this pipeline [going through Greece] that will bring energy to Europe in order to ensure access to a source of energy for our country and for Europe,” the politician recalled. From his point of view, the Turkish Stream situation is still too ambiguous to make any conclusions on its form and deadlines. “We have a saying in Greece that we do not have to rush in our estimation about things. I think it is very early to speak about the benefits of this evolution,” the Greek MP explained. He noted that the project will be constructed with ease if it is accepted in all European countries to take part in the project. At the same time, Hasan Selim Ozertem, head of Energy Security Studies at the Turkish International Strategic Research Organization (USAK), suggested that the first branch of the Turkish stream would help assert the effectiveness of the project at a lower scale and create the foundation for further expansion of Russian-Turkish gas ties. “Making a holistic agreement in 2015 and ignoring the upcoming opportunities for Turkish interests in the future seems to be something unrealistic and not favorable from the Turkish point of view. I may say that Turkey wants to make microagreements before making a macroagreement,” he stressed. From the expert’s point of view, the first branch of the Turkish Stream may be completed only in four years after the intergovernmental agreement is signed. “But for the four-line pipeline project, I suppose we should be projecting past 2020, because it seems that negotiations are not going to be as fast as projected from the beginning,” Hasan Selim Ozertem pointed out, adding that the current oil market situation and the state of Russia-EU relations also affect the potential. He also suggested that the list of the countries to take part in the Turkish Stream gas transit through EU may include such states as Greece, Austria and even Germany in the best outcome. “[But] it is hard to say that the Turkish Stream can take the full political support from Brussels because of the ongoing aggression between Russia and European Union in Ukraine. So I may say that some particular countries may take some roles for the Turkish Stream, but they may face some political challenges,” Hasan Selim Ozertem said. Vladimir Kashin, Russian State Duma deputy for the CPRF faction, Chairman of the Committee on Natural Resources, Natural Management and Ecology, also touched upon this issue. “The debates over this project are still ongoing. There are attempts from our ‘friends’ to push hard enough to ‘bury’ this project completely. But we have seen that the outburst of debates was already extinguished three days later. The news [in the foreign media] were disproved by the authorities of the very Turkey who said they will be supporting and building the project,” the politician said in an interview to “PenzaNews” agency. According to him, the energy sustainability and stability in Europe was always closely tied with Russian oil and gas supplies. “The question of how and from what countries they will be receiving this stability is another matter. Of course, this is both a political and economy question,” the Russian Duma deputy explained. From his point of view, Ankara has many reasons to support the Turkish Stream construction. “These are great money, this is, obviously, priority access to energy resources,” the interviewee said, adding that the issue of Turkish participation in the project is also on the schedule. At the same time, he reminded that Russia continues to actively develop its projects with other countries, such as China. In his turn, Mehmet Ogutcu, expert in finance, energy and geopolitics, chairman of Global Resources Partnership, special envoy for the Energy Charter, executive chairman of the Bosphorus Energy Club, noted that Turkey follows a similar line in its strategy. “The Turkish negotiators pay a special attention to not undercutting other competing gas projects from Azerbaijan, Iraq’s Kurdistan, Iran and East Mediterranean which can enhance Turkey’s hand in diversity and price,” he said. According to the expert, the partners will have to deal with several obstacles at once in the nearest future. In particular, Mehmet Ogutcu pointed out, Russia and Turkey will have to finish the discussion on gas price and decide whether Ankara will receive a genuine trading hub mechanism. “This is a long-term commitment and it will be lasting only if there is no unilateral imposition of terms,” stressed the executive chairman of the Bosphorus Energy Club. He also reminded that Russia and Turkey will have to act win the bounds set by the Western sanctions against Russia and pay greater attention to the EU Third Energy Package to avoid the fate of the South Stream. Nevertheless, the financial expert expressed his belief that the Turkish Stream project fulfilled in the agreed timeframe and volume will bring benefits to both parties. “I believe that despite all difficulties faced both Ankara and Moscow should find the middle ground and move forward for the first leg of the Turkish Stream,” the special envoy for the Energy Charter concluded.